Mens Tagless Cotton Crew Neck Long-Sleeve TshirtCategory: Hanes Classics Crew T-shirtEnhance your everyday wardrobe with the Hanes Mens Tagless Cotton Crew Neck Long-Sleeve T-shirt. Nothing beats Hanes when it comes to comfort, quality and durability. This 100 percent cotton shirt is built to last, with a rugged, lightweight, soft build and a long-sleeve style for effortless layering. The simple style features a lay-flat crew neck collar and ribbed cuffs. Reinforced stitching and shoulder-to-shoulder taping enhance durability, with a tagless neckline for superior comfort. The cotton fabric can be machine washed and tumble dried for easy care; the sturdy construction preserves the fantastic fit wear after wear, wash after wash. The Hanes men's t-shirt is available in multiple solid colors, from soft neutrals to rich jewel tones. Choose from sizes S-XL. Hanes Men's Tagless Cotton Long Sleeve Pocket TshirtCategory: Hanes Classics Crew T-shirtStay warm and comfortable with the Hanes Men's Tagless Long Sleeve Pocket T-shirt. This shirt is made from 100 percent cotton. The men's pocket t-shirt features reinforced stitching and shoulder-to-shoulder taping to make sure it will hold up through many washes. The lay-flat collar and tagless design add to the comfort of the shirt. It comes in a wide variety of colors so you can choose the ones that work with your wardrobe. Men's Fresh IQ White Crew Neck T-Shirt 6 Free Bonus PackCategory: Hanes Classics Crew T-shirtThis Hanes Men's Fresh IQ White Crew Neck T-Shirt 6+1 Free Bonus Pack is the classic Hanes tee and the perfect essential for all men's wardrobes and now have Fresh IQ, Advanced Odor Protection that helps keep odors at bay. These tshirts are made with 100% preshrunk ComfortSoft cotton for a soft breathable comfortable fit wash after wash. They can be worn under any shirt and feature a lay flat tagless collar that will keep it shape. Get your bonus pack today. 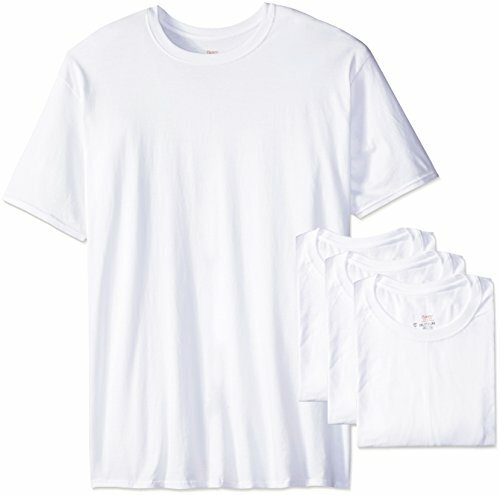 Hanes Men's Fresh IQ White Crew Neck Shirt 6 plus 1 Free Bonus Pack Now available while supplies last. Hanes Women's Long-Sleeve Crewneck TeeCategory: Hanes Classics Crew T-shirtStylish, versatile and comfortable- a definite must-have t-shirt for any wardrobe. Men's FreshIQ ComfortSoft 4-Pack, Dyed Crew Neck T-ShirtsCategory: Hanes Classics Crew T-shirtAdd this 4-Pack Hanes ComfortSoft Men's Tees to your wardrobe, They feature a crew-neck design with short sleeves. 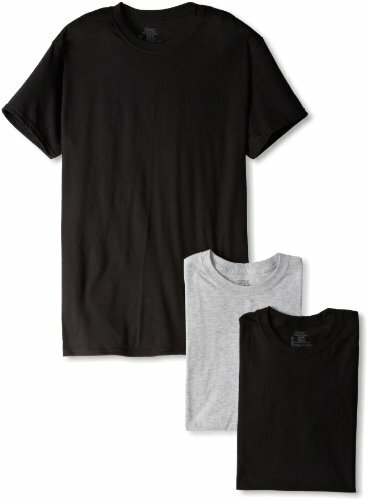 These Hanes tees are made from a soft and comfy blend of cotton and polyester, making them ideal for wearing under other garments. The fabric is also machine-washable for easy care. These shirts come in a convenient four-pack and they are tagless for added comfort. 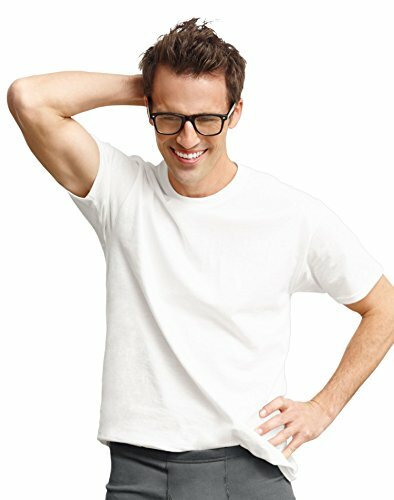 Hanes Men's Beefy-T Crew Neck Short Sleeve T-Shirt, up to 6xlCategory: Hanes Classics Crew T-shirtBeefy Tees combine the tough durability of 6.1 oz jersey fabric with the ultra-soft comfort of ring-spun cotton, and features Hanes lay-flat collar as well as shoulder-to-shoulder taping. 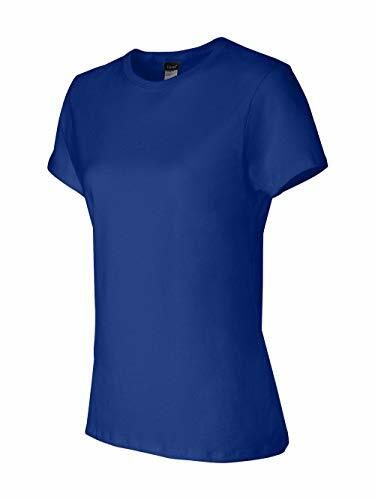 Mens Short Sleeve Crew Assorted Color T-Shirt, 5-PackCategory: Hanes Classics Crew T-shirtStay comfortable all day with the Gildan Men's Short-Sleeve T-Shirt. A basic essential to every man's wardrobe, it provides you with the soft breathable layer that you need. The standard crew T-shirt is cut to fit and move with your body. It can be worn either as a shirt or under another. Made from cotton, it features a tagless design, which helps prevent unnecessary scratching and itching. The cotton T-shirt is built to hold up wash after wash, without shrinking or tearing. Wide-cut arms ensure your arms don't become constricted. It also features a ribbed neck for added comfort and ease of wearing. Available as a 5-pack, this crew T-shirt works well as your everyday go-to garment. Hanes Men's Fresh IQ White V-Neck T-Shirt 6+1 Free Bonus PackCategory: Hanes Classics Crew T-shirtThis Hanes Men's Fresh IQ White V-Neck T-Shirt 6+1 Free Bonus Pack is the classic Hanes v neck and a perfect addition to all men's wardrobes. These tag free tshirts are made with 100% preshrunk ComfortSoft cotton for a soft breathable comfortable fit wash after wash and now have Fresh IQ, Advanced Odor Protection that helps keep odors at bay. They can be worn under any shirt and feature a ribbed two-ply v-neck collar that will keep it shape. Get your pack today. 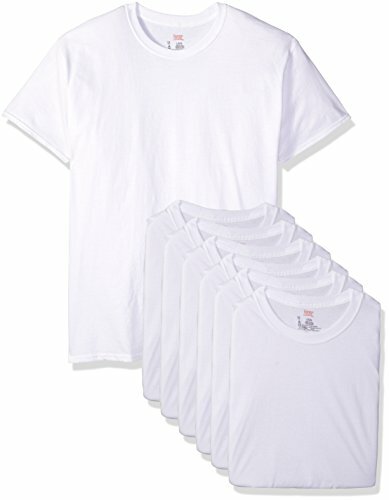 Hanes Men's Fresh IQ White V-Neck Tee 6 plus 1 Free Bonus Pack Now available while supplies last. Boy's Tagless Crew T-Shirt, 5 + 1 Bonus PackCategory: Hanes Classics Crew T-shirtHanes Boys' ComfortSoft Crew T-Shirts, 5 Pack +1 Free will make a great everyday piece for your boy. Featuring lay flat collar, tagless for added comfort, and preshrunk cotton for a better fit. Mens ComfortSoft White Crew Neck T-Shirt 3-PackCategory: Hanes Classics Crew T-shirtHanesￂﾮ 100% cotton T-shirts are knit to move with you and feel less bulky under shirts and trousers. These are preshrunk for a better fit, features double ply neckband for added strength, roomy armholes and is a generous length so they stay tucked-in. Men's Tagless Crew Neck Short Sleeve Pocket TshirtCategory: Hanes Classics Crew T-shirtSo many colors that we dare you find a shade we dont offer. 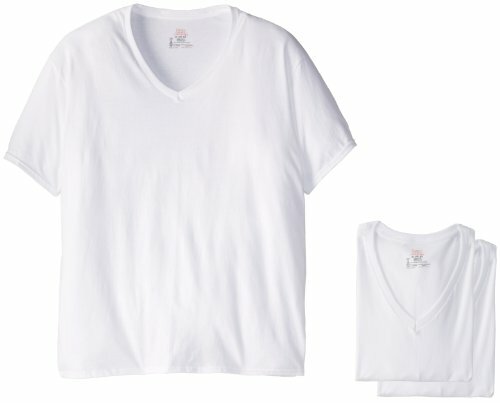 All the comfort of Hanes with our famous tagless collar! Hanes Men's Tagless Crew Neck Short Sleeve Pocket Tee is preshrunk and resists shrinking and fading. Shoulder to shoulder tape for durability. 5-point chest pocket is ideal for carrying bills, debits cards and keys. Enjoy the Hanes Lay Flat Collar Guarantee. Hanes Toddler Boy 5 Crew Tees, 5-PackCategory: Hanes Classics Crew T-shirtPick up one of these Hanes baby boys' 5 pack of crew neck tees. Featuring pre-shrunk 100% comfortsoft cotton for a soft and comortable fit. Perfect for your little one! This video is not in any way associated with the Hanes company. THE PERFECT WHITE TEE! WHICH ONE SHOULD YOU GET?